Hedina Tahirović-Sijerčić was born on 11 November 1960 in Sarajevo’s Romani mahala Gorica, in Bosnia and Herzegovina. She received her journalism diploma at University of Sarajevo in 1985 and with this diploma she was the first graduate journalist of Romani origin in former Jugoslavia. She also graduated from the University of Tuzla (BiH) with a Teacher’s diploma, and while living in Canada, she obtained her Certificate of Qualification from the Ontario College of Teachers. Tahirović-Sijerčić obtained her Magister diploma from the Center for Interdisciplinary Postdiploma Studies – Gender Studies at the University in Sarajevo (BiH). Her magister thesis titled Rodni Identiteti u književnosti romskih autorica na prostorima bivše Jugoslavije was published in 2016 with the Federal Ministry for Education and Science in Mostar, Bosnia and Herzegovina. She also obtained her doctoral degree at the University of Belgrade, Faculty of Philology. In 2017 she co-edited with Cynthia Levine-Rasky The Romani Women’s Anthology: Spectrum of the Blue Water published by Inanna Publications and Education Inc. in Toronto, Canada. Since January 2014 Tahirović-Sijerčić has been a Member of the Committee of Experts of the European Charter for Regional or Minority Languages for Bosnia and Herzegovina at the Council of Europe in Strasbourg, France. From January 2012 to June 2014 she taught classes on Romani Language, Literature and Culture at the University of Zagreb, Croatia. While living in Toronto, she was co-editor-in-chief of the magazine Romano Lil. From 1985-1992 she worked as editor-in-chief for the Romani radio and TV programs Lačho djive, Romalen (Have a good day, Roma/people) and Malavipe (Meetings) in Sarajevo. 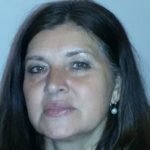 She published several academic papers, two dictionaries: Gurbeti-English/English-Gurbeti (2011/2013); and Bosansko-romski i romsko-bosanski rječnik / Bosnaki-Rromani thaj Rromani-Bosnaki alavari [Bosnian-Romani/Romani-Bosnian Dictionary] (2010) which have made her as the first Romani woman who authored dictionaries, autobiographical novella, Rom like Thunder, in English (2011) and in Bosnian as Rom k’o grom (2012), self-translated folk tales, poetry, stories, and legends in Romani, Bosnian, German and English. In 2011, the collective sound installation “Canada without shadows/Canada bizo učhalipe” was exhibited at the Romani pavilion of the Venice biennale (La Biennale di Venezia) in Italy. Before the war in Bosnia, she was editor-in-chief of two documentary films, Adjive Romen (Roma Today) and Karankoci-Koci, produced for Sarajevo TV in Bosnia and Herzegovina (1989). In 2011 she received the prestigious Freedom Award (Nagrada Sloboda) from the International Centre for Peace in Sarajevo for the promotion and affirmation of human rights in BiH and the world. In 2010 she was recognized for her literary work when she was awarded the international prize “Golden Pen of Papusza” poetry prize from the Ethnographical Museum in Tarnow, Poland. And in 2009, she received the prize for “best promoted work” at the 21st Sarajevo Book Fair in Bosnia and Herzegovina. Hedina writes and speaks Bosnian (Serbian, Croatian, Montenegrin), Romani, English and German.